In early May I read Venkat Sankar’s report detailing a cornucopia of small mammals in southern California. I had to be physically restrained from taking a suitcase, spotlight and taxi to the airport. I was powerless to resist and booked a ticket a few days later. Next thing I knew I was landing in Los Angeles for the Memorial Day long weekend in late May 2017. Venkat saw a bunch of species I wanted to see and so I largely followed in his footsteps, starting the trip in Hemet before heading to Joshua Tree National Park. 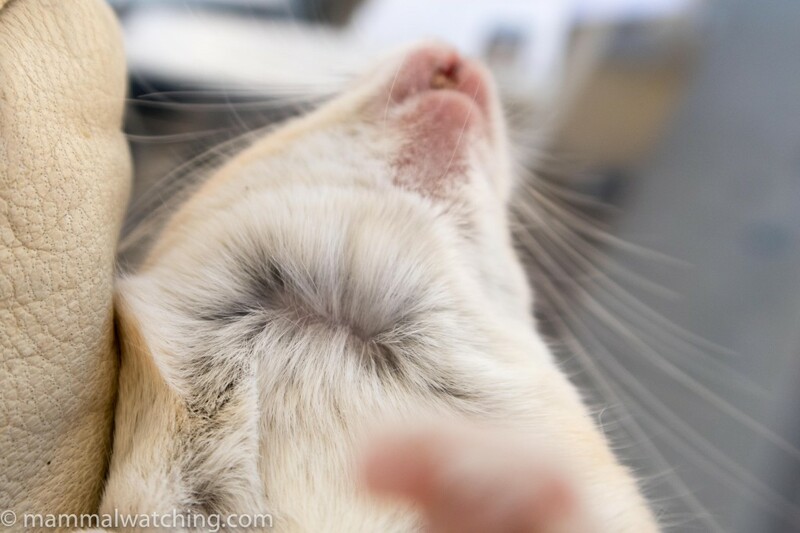 From there I went to Lancaster, primarily to see Agile Kangaroo Rats. 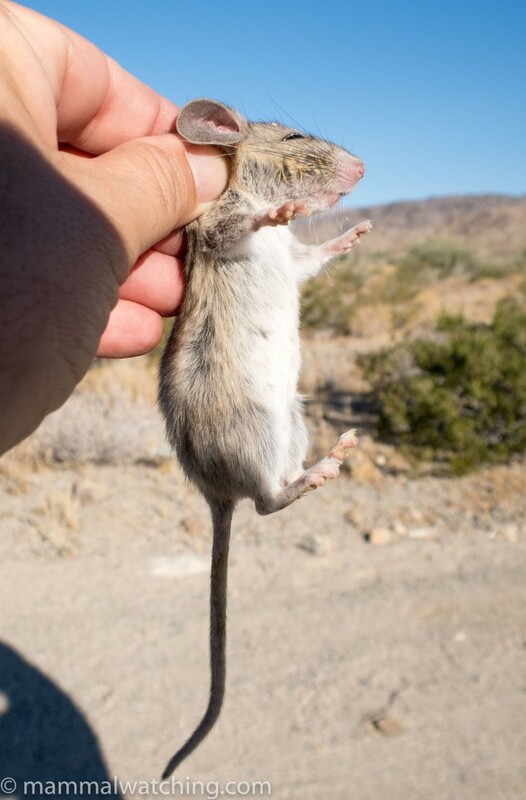 Rodent numbers seem extraordinarily high in southern California right now, and I don’t think I have ever seen as many anywhere as I saw around my campsite by Joshua Tree, and that includes the Sanetti Plateau in Ethiopia and the NYC subway. The population explosion, coupled with a lot of help from Venkat (largely in real time) made for a very successful trip. Venkat’s report includes a lot of detailed information, most of which I won’t repeat here. 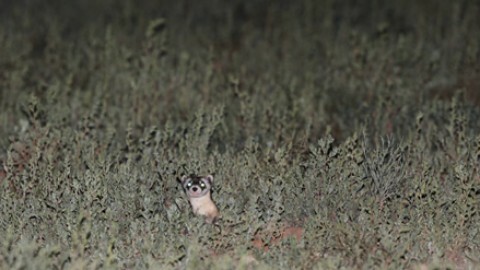 During a couple of hours driving the Crown Valley and Rawson Roads, through the Roy Shipley Multi-species Conservation Reserve, I saw at least three Stephen’s Kangaroo Rats, the only kangaroo rat species in the open grasslands and sage brush on the valley floor. 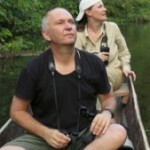 I saw one or possibly two animals at exactly the spot listed in Venkat’s report (33.6489, -117.0052 ). 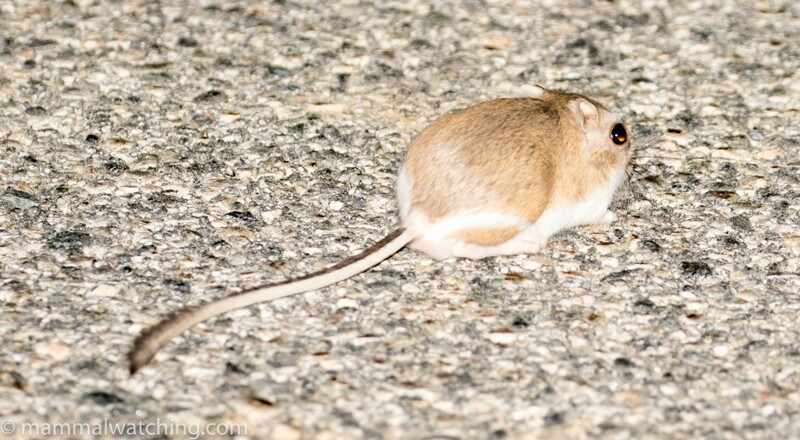 I had another kilometre along the road to the North East (33.6467, -116.9964), and what I believe was also a Stephen’s Kangaroo Rat, a mile or so to the south west along Rawson Road (33.6379, -117.019). These latter two animals paused obligingly at the roadside but I wasn’t quick enough to get any pictures. I also saw a half a dozen owls, presumably a higher number than usual and something to do with all that food scurrying around. 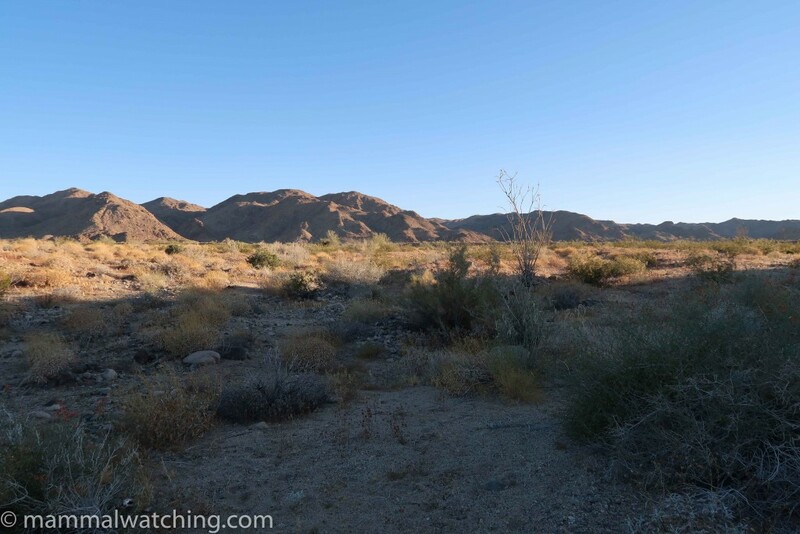 I also visited another two sites that Venkat recommended about 40-50 minutes to the South-east of Crown Valley: Thomas Road (33.545869, -116.85783) and Tule Creek near Aguanga ( 33.4629, -116.8274). I set some traps alongside the road at both spots, and spent time spotlighting. Both sites are looking good at the moment after the rain from a few months ago. At Tule Creek, I saw many California Ground Squirrels, some White-tailed Antelope Squirrels, Desert Cottontails, a Black-tailed Jack Rabbit, plus, after dark, a Dulzura Kangaroo Rat, a Northern Baja Mouse and what may have been a Little Pocket Mouse though I didn’t see it for long enough to be sure. The next morning I had a couple of species in the traps. The area along and around Thomas’s Road was great for Kangaroo Rats, I spotlit at least 10 and caught one the next morning. 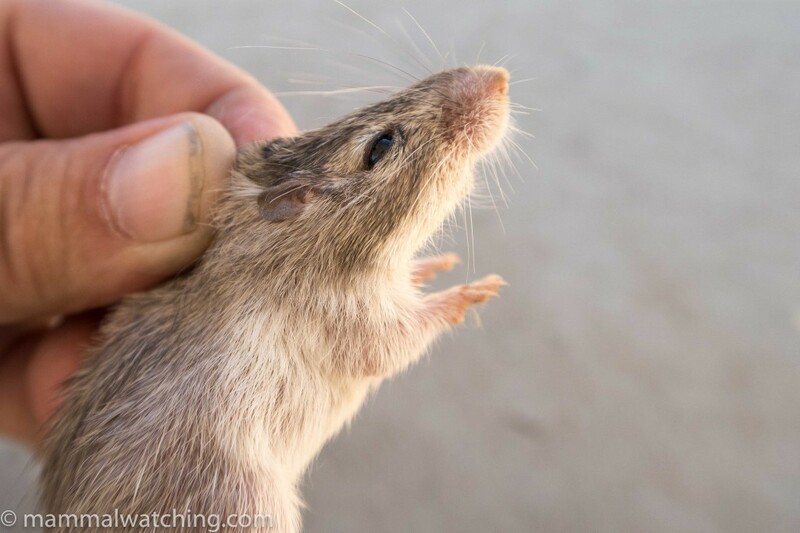 It was reassuring to get one in the hand, count the toes and generally satisfy myself beyond any doubt that this was indeed a Dulzura Kangaroo Rat. I saw a bunch of smaller rodents running across the road too after dark, and am pretty sure that at least some were San Diego Pocket Mice. I didn’t catch any of those there but did get a couple more Northern Baja Mice and, my fifth lifer of the trip, my first Southern Grasshopper Mouse. My next stop was Joshua Tree where I’d arranged to meet up with Paul Carter for the day. We camped, as I had done before, just south of the park entrance in some crappy looking desert (33.6781, -115.8286) which had proven good for small mammals in the past. 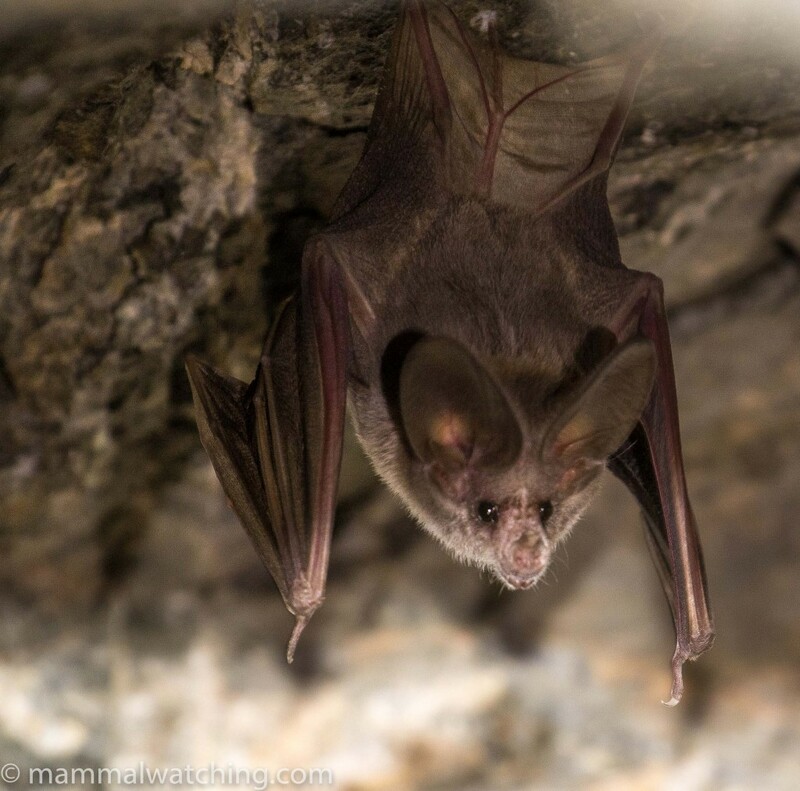 After setting a few traps there and along Corn Springs Road (at 33.6212, -115.3058 and near to the campsite), further to the east, we drove to Palo Verde on the Arizona border to check a couple of bridges for bats. 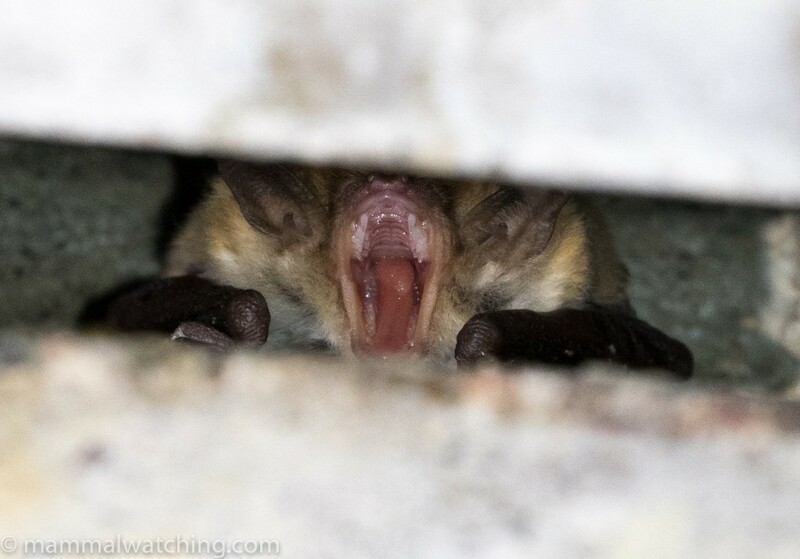 There were no bats at the Lugo Road Bridge (33.4189, -114.7258) but there were many animals in the cracks at the west end of the bridge to the north of Oxbow BLM (33.390347, -114.711046), where Venkat had found some Arizona Myotis (Myotis occultus). 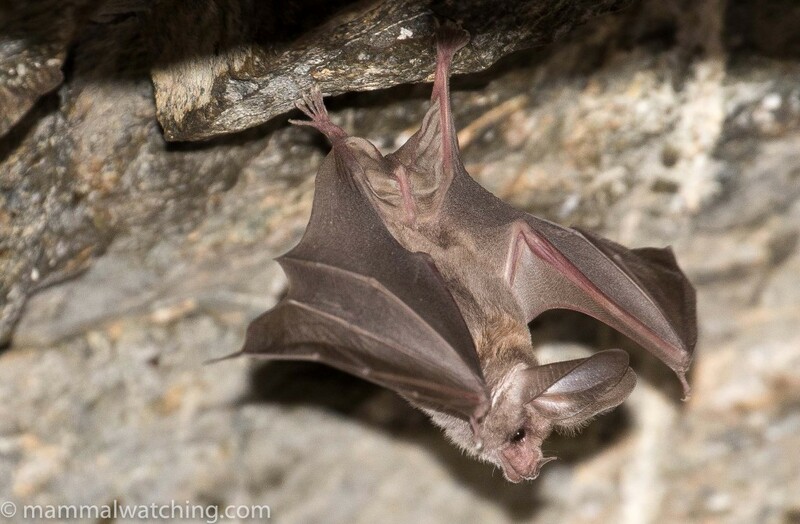 Paul and I are still looking at the pictures and consulting with others to see whether we have species other than a few Mexican Freetails and many Yuma Myotis. From there we drove the 20 minutes to the old Storehouse Mine (details again in Venkat’s report). The directions are excellent but when we arrived the mineshafts were not as easy to spot as I had expected. But there is one obvious gated shaft on the slope across from where we parked (33.51067, -114.79280). I am not sure how we missed them, but it was quite late in the day and if we had arrived a little earlier it might have been easier. We sat alongside the shaft and though a few bats were flying around inside we didn’t see any emerge. But plenty of bats were zipping around our heads, mainly Cave Myotis I assume but without getting a good look that species remains unticked. 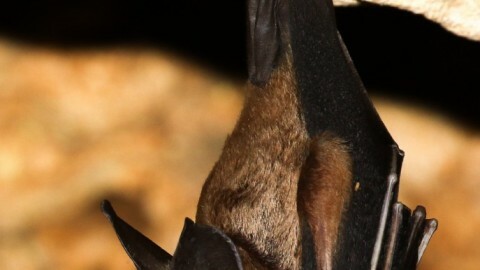 There were no obvious California Leafnosed Bats. Paul wandered off at about 9.30 p.m. to look for reptiles (we found both Speckled Rattlesnake and a Night Snake) at which point at Longtailed Pocket Mouse appeared on the edge of the shaft and ran around for 10 minutes. One of my target species for the night, seen below bathed in red light from my flashlight. Meanwhile Paul saw a Kit Fox. Driving back to Joshua Tree we checked the Lugo Road Bridge again. to see if any Arizona Myotis were using it. 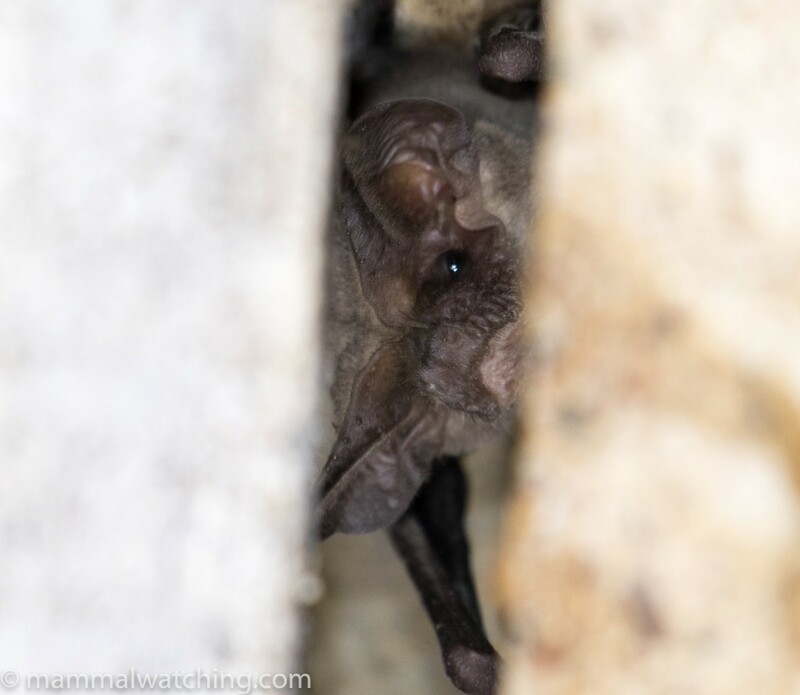 We couldn’t see any myotis through the fog of mosquitos and bugs, but we found a roost of 20 – 30 California Leaf-nosed Bats at the west end of the bridge. It was already midnight but the night was far from over. We drove back west to Painted Canyon in the Mecca Hills and walked around for an hour or two. There were quite a few rodents in and around the shrubbery on either side of the Canyon and we got good views, and Paul good pictures, of this Cactus Mouse, the diagnostic grey head in particular showing well. Another lifer for us both. 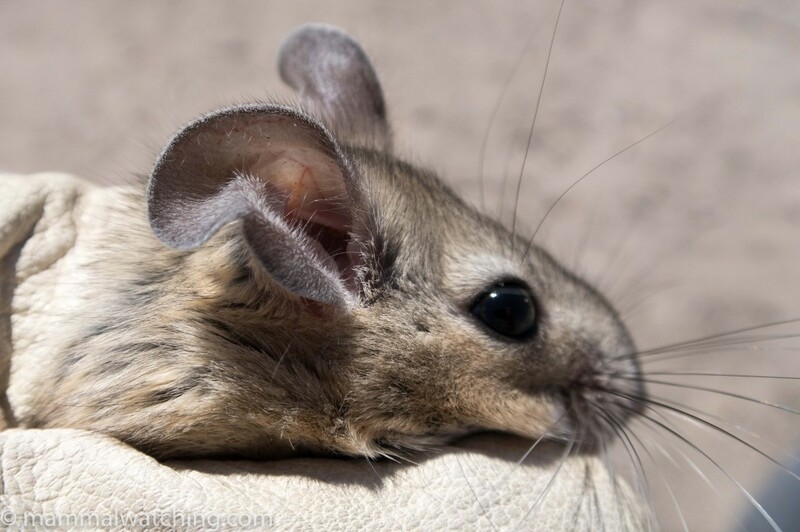 Cactus Deer Mouse, Peromyscus eremicus. Photo by Paul Carter. I was hoping to see a Spotted Bat here, as Venkat had, but though I heard a bat fly overhead I didn’t see it and suspect it may have been a Western Bonneted Bat. 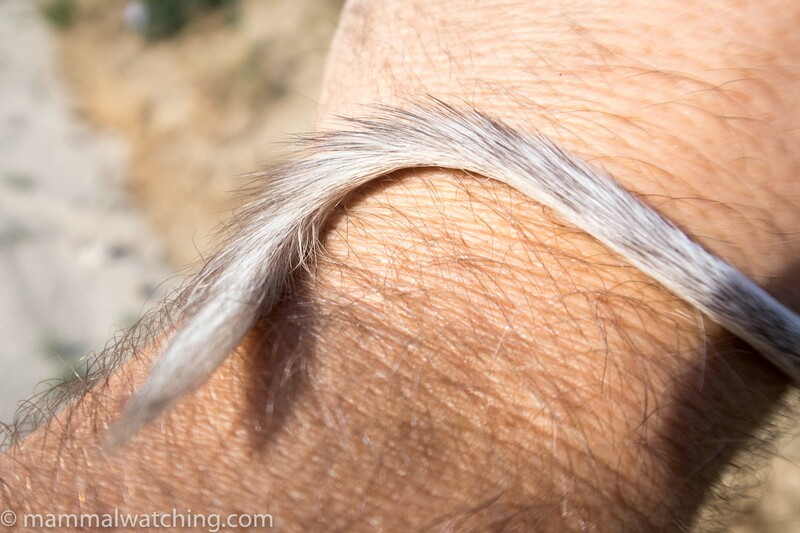 A Kit Fox demonstrated its agility climbing the canyon walls. We got back to our tents at 3.30am and there were rodents running around everywhere, more than I have ever encountered. My thermal scope came into its own at tracking them down, but there is such a diversity of rodents in Joshua Tree that I struggled to be sure what most of the animals were. 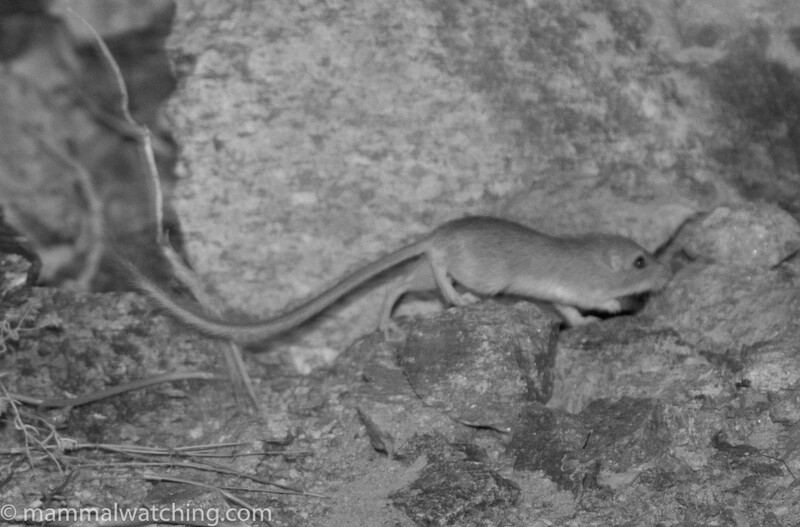 It looked like some might have been Brush Mice, and some of the pocket mice too were possibly Long-tailed Pocket Mice. Totally overstimulated I went to bed only when I realised the sun was rising again at 5 a.m. Paul thought I might have died when he tried, with difficulty, to wake me up 90 minutes later. We had set some traps around our tents and it was not much of a surprise that they did pretty well. 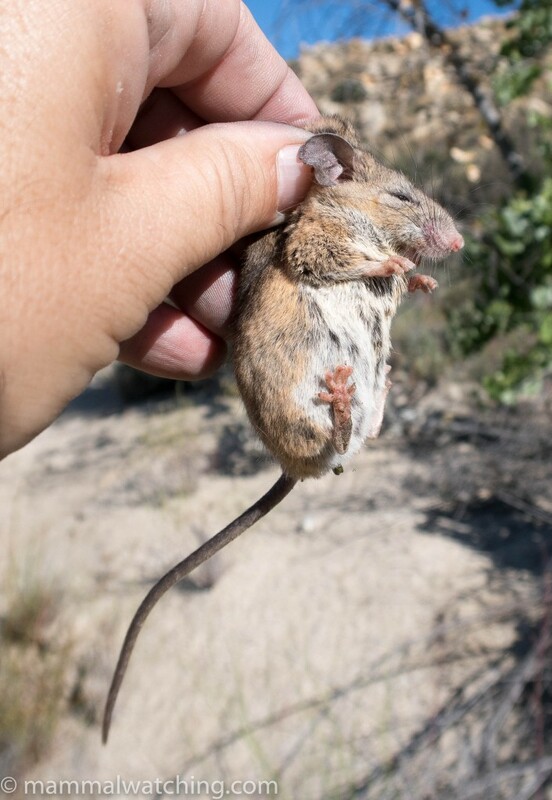 We caught two Spiny Pocket Mice, another key target for me in the area, best ID’d from the similar San Diego Pocket Mice but the considerable numbers of spines all the way along their flanks. 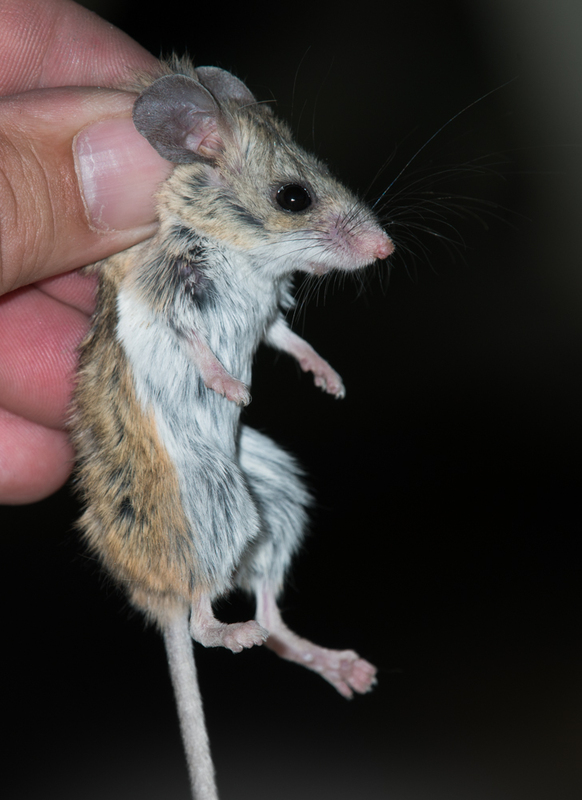 Along with one San Diego Pocket Mouse, with far fewer spines on the body above the rump. 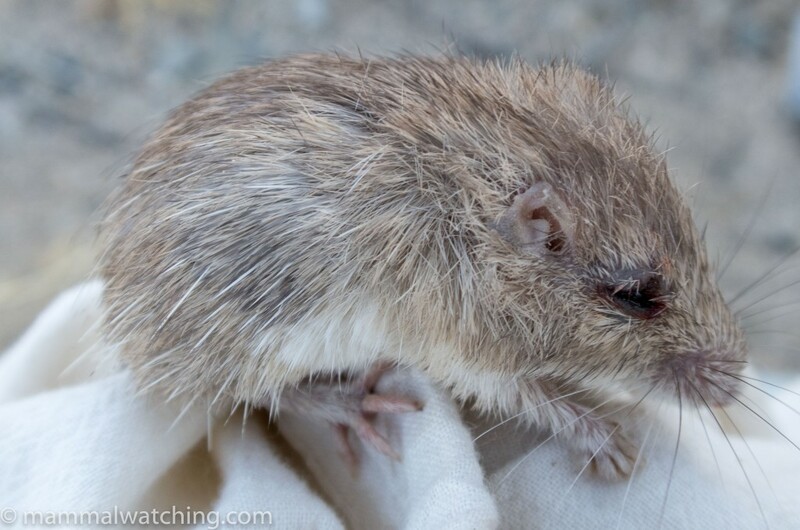 Our only woodrat was a Desert Woodrat, which I now realise look very like White-throated Woodrats. We could only be sure what we were looking at after careful inspection of the throat fur. 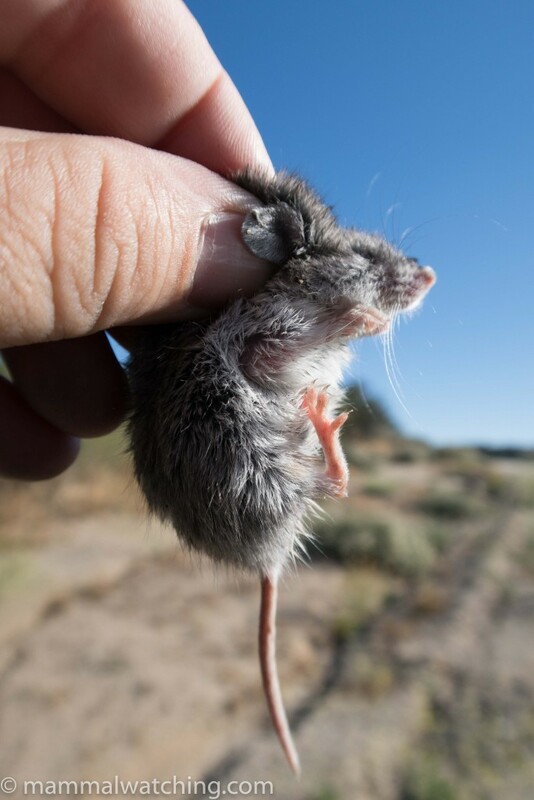 Note the black-based fur on the throat of this animal, and compare it to the much whiter fur of the White-throated Woodrat below (which we caught later in the morning.) 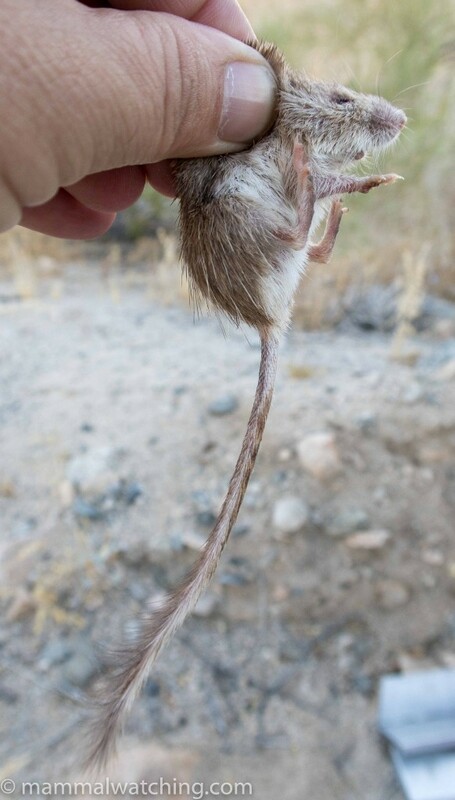 The White-throated Woodrat still had some bands of grey-bases in the throat, but, unlike the Desert Woodrat,it had bands of hair that were pure white. In general it had much richer while ventral fur. 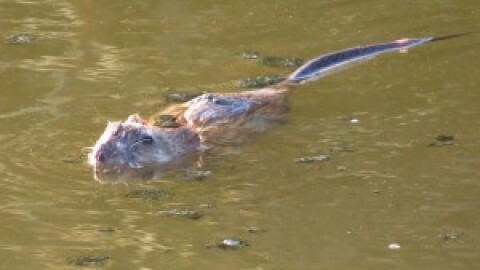 Even Fiona Reid couldn’t figure out what this mystery mouse is: it is most likely either a Brush Mouse or a Deer Mouse. While the relative measurements of head body and tail (i.e. 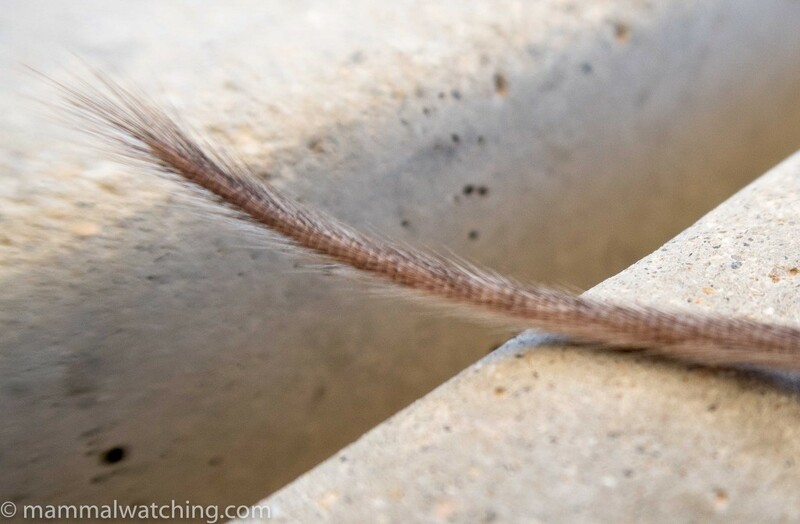 a tail 20% longer than the head body) correspond to Brush Mouse, the tail in particular looks more like that of an American Deer Mouse. 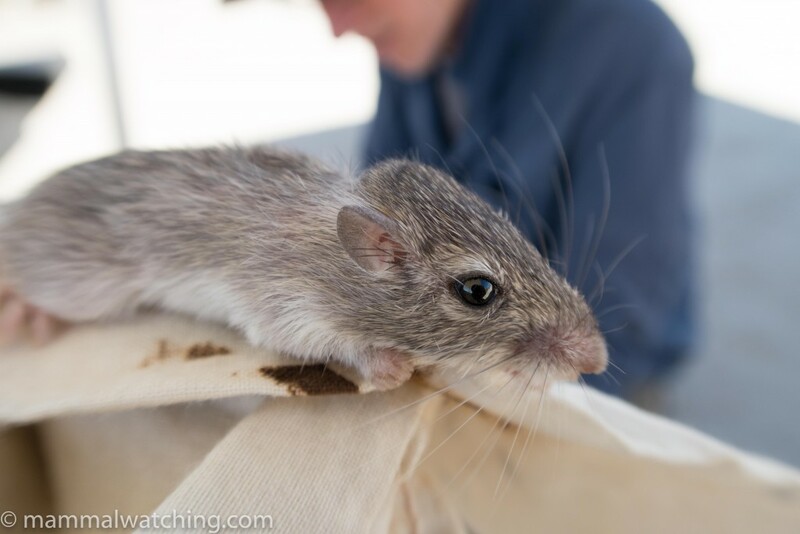 We also caught one Merriam’s Kangaroo Rat. 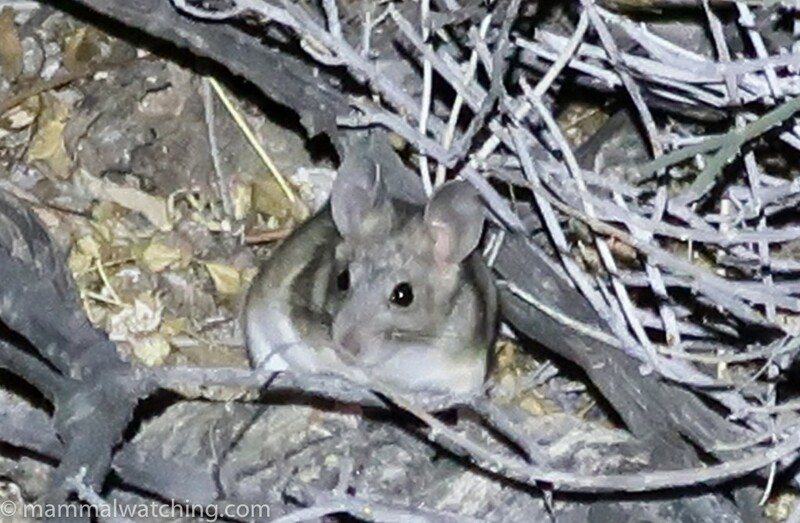 In the rocks along Corn Springs road we had two more Spiny Pocket Mice and another San Diego Pocket Mice. 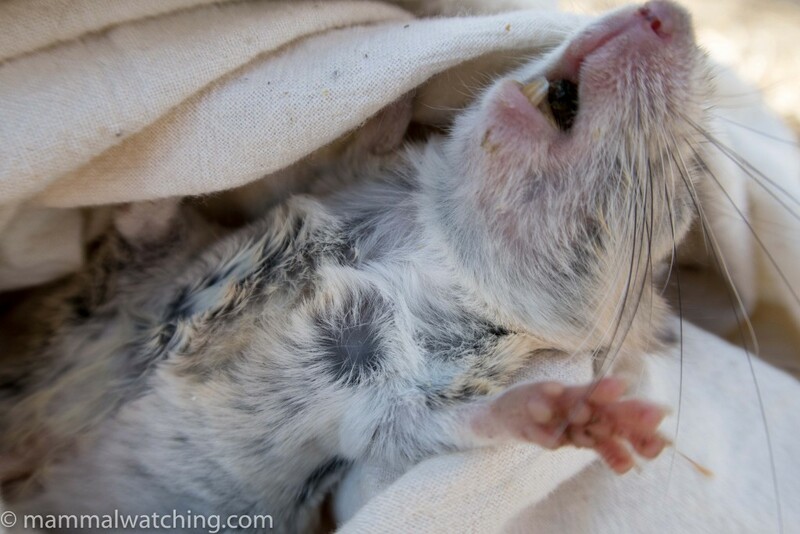 We also caught two woodrats, both of which appeared to White-throated Woodrats, another lifer. 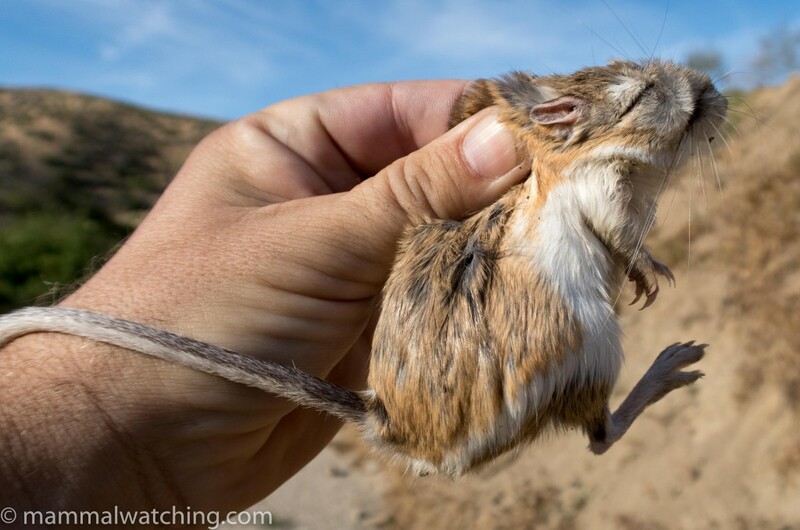 See the photos above about how similar this species looks (at least to me) when compared to a Desert Woodrat . And, last but not least, we caught two Canyon Deer Mice. A lifer for us both., and the third life for me since I had gotten up. Note the well-furred and tufted tail. 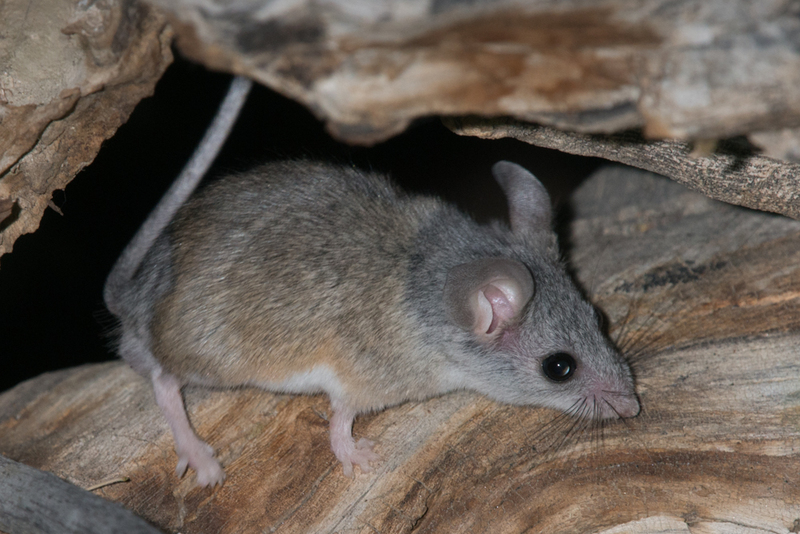 Canyon Deer Mouse, Peromyscus crinitus. Photo by Paul Carter. 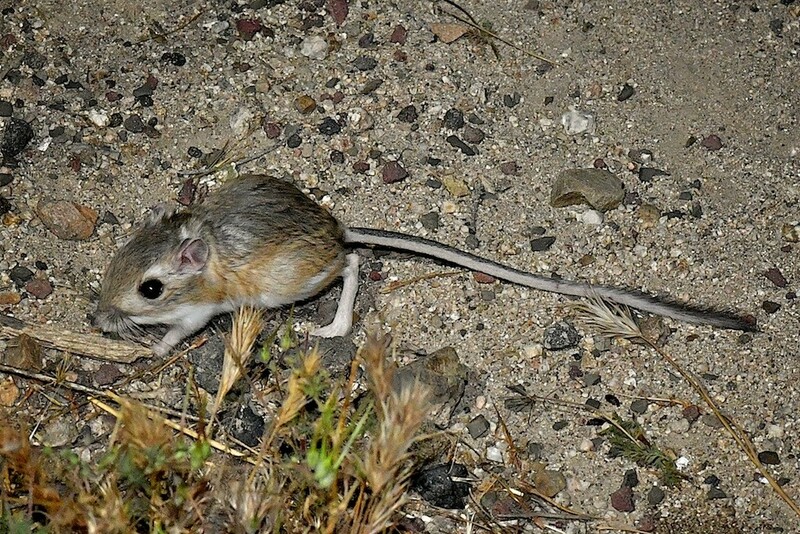 Agile Kangaroo Rat, Dipodomys agilis. Photo by Charles Hood. Paul headed back to LA and I drove the 2.5 hours to Lancaster – 90 minutes inland from LA – for a much needed nap. 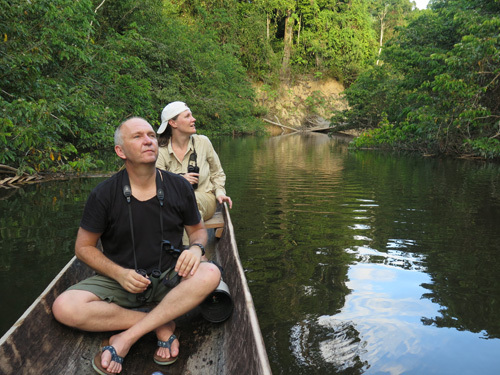 That evening I met Charles Hood for the first time (his reports will be familiar to many who read mammalwatching.com). 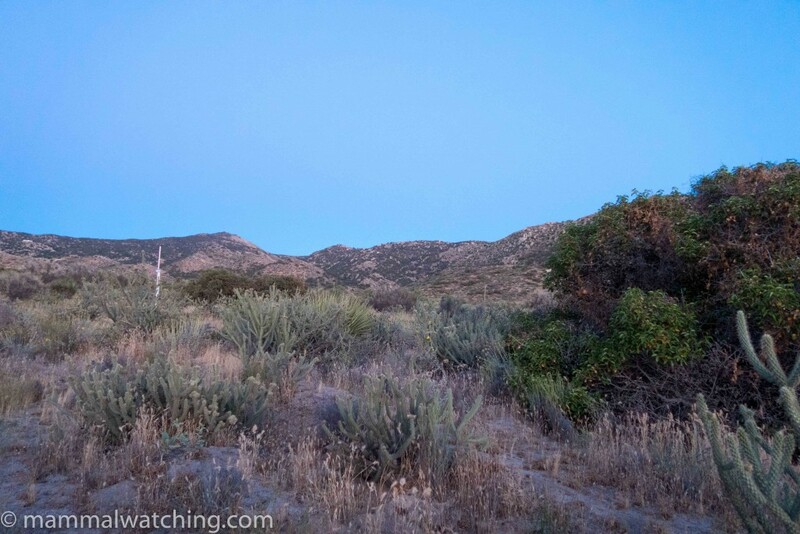 We had dinner before driving up to Tehachapi Pass, where Charles spotted a Coyote, to look for the rather rare White-eared Pocket Mice that Vladimir Dinets and Venkat Sankar had seen a year before. I don’t know what those two said to the locals but mammal watchers do not get a warm welcome in these parts. Following Venkat’s advice we parked about 1.5 miles down Cameron Canyon Road, south west of the Barstow-Bakersfield Highway, and planned to spotlight around grassy clearings along the road (which is a rural road, with small properties scattered along it). Before we had finished getting our stuff out of the car a rather strange looking guy (SLG) pulled up. OK so I am not entirely sure he said the last sentence … but I BET he was thinking it. And then he turned around and drove back the way he came. We did, in fact, stick to the road. And after 30 minutes, featuring several rodents, none of which we could ID, we turned a corner and were near a house. I heard a noise and looked through my thermal scope. SLG was standing in his yard, in the pitch dark, putting golf balls and staring at us. This was becoming weird. We walked on past the house and a few hundred metres up the road I saw another rodent in a paddock. I walked up to the fence to shine a light and a gun shot rang out. I have looked for mammals in some seriously dodgy places – including Pakistan, Syria and Paris – but this was the first time I’d been shot at. Way to go California. We decided the White-eared Pocket Mice probably weren’t all that important and headed back to the car. A truck followed us slowly down the road, a hundred metres behind us, presumably keeping its distance to ensure we didn’t hear the muffled screams of whoever was locked in the trunk. I suppose whoever was driving was SLG’s neighbour and another founder member of the Tehachapi Chaining Strangers Up in the Basement Society. The truck continued to follow us for another ten minutes even after we got in the car. 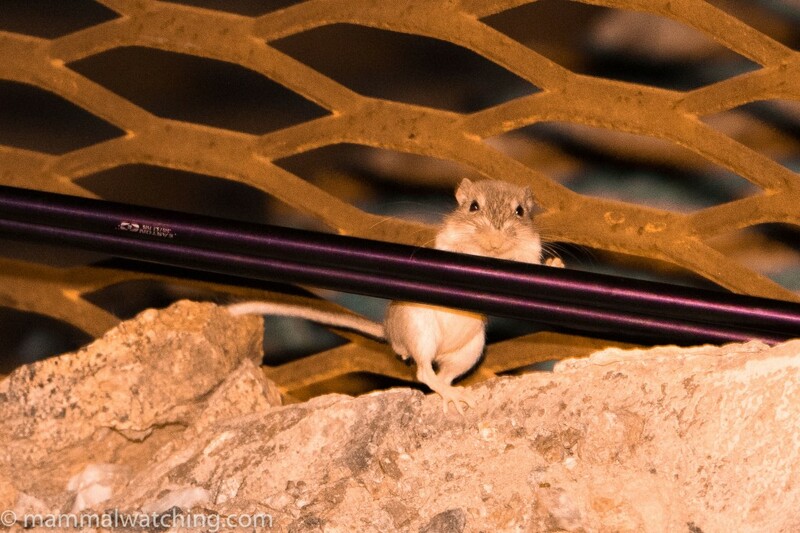 We cruised further on down Cameron Canyon Road but didn’t dare to stop to look at several kangaroo rats. All very strange. Perhaps proximity to nut jobs and serial killers is a key habitat requirement of White-eared Pocked Mice. But if it is they ought to be abundant in this neighbourhood . Back at Lancaster we drove along Munz Road, and saw several kangaroo rats and no weirdos. This animal obligingly – and unusually for a kangaroo rat – froze on the road, so much so that I thought it was dead when I first saw it. 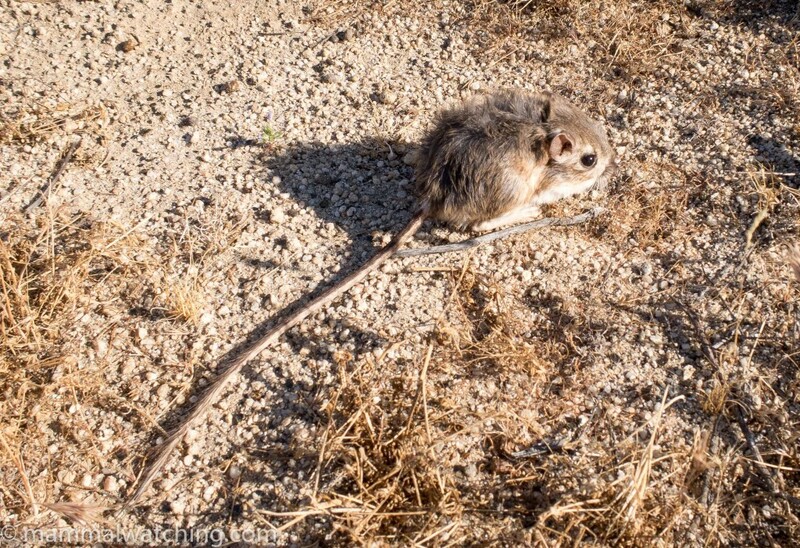 My first Agile Kangaroo Rat. There were a few more in some traps the next morning (34.6942, -118.3834), along with a couple of American Deer Mice, though not the Little Pocket Mouse I had been hoping for. But now, after 12 lifers in a weekend, I was just getting greedy. I stopped briefly at the Antelope Valley Community College to look for Botta’s Pocket Gophers: plenty of mounds but no animals, and then drove the 90 minutes to the airport. A successful trip. At least 12 lifers out of 23-25 species. Just shows what some targeted searching can achieve, even if I missed Baja and White-eared Pocket Mice and Spotted Bats along with a few other possibilities that I was not really searching for. A very big big thank you to Venkat in particular: both for the inspiration from his detailed report, and for the 50+ emails he sent me over the weekend. As I said to Paul Carter, having Venkat online is like mammal watching with Interpol back up. 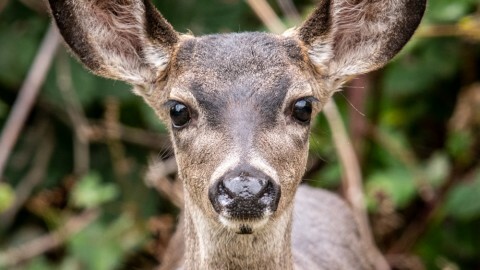 Also thanks are due – as they so often are – to Fiona Reid for uncomplainingly looking at many photos of 13 different animals to help with our IDs. And of course thank you again to Paul Carter and Charles Hood for their company, help and photographs. If anyone knows of any unsolved murders in or around Lancaster, California then I know where to direct the police. 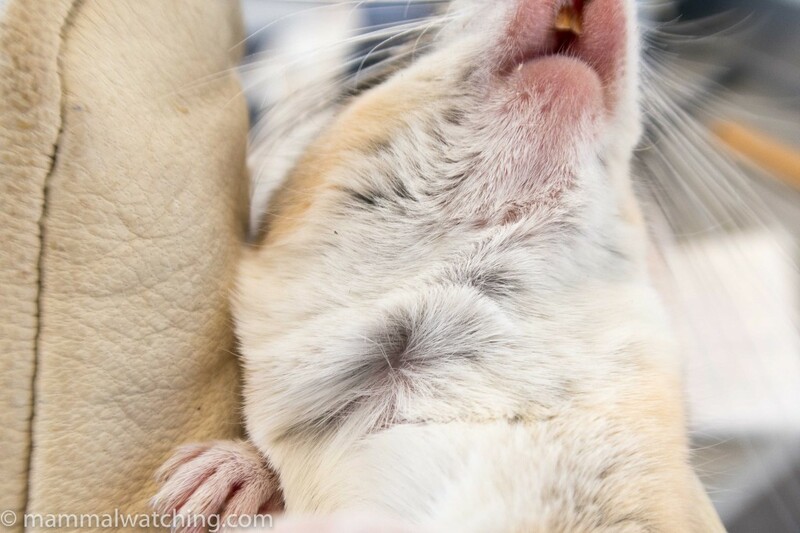 White-eared mouse is no longer considered a full species, so probably not worth getting killed over. As for the mystery mouse, I’d say brush, based on ear size. It took me 20 years in North America to see all land mammals except one (which might not even be a full species), so you are doing much better than I did. 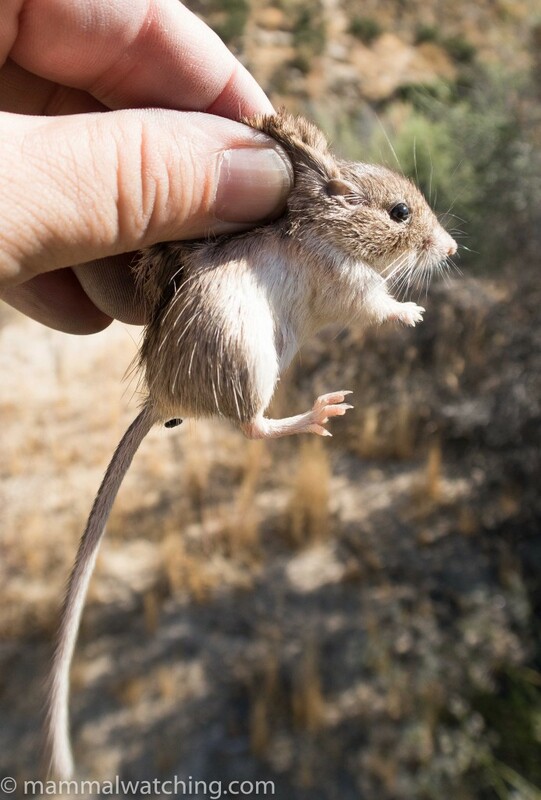 The white-eared pocket mouse lumping was in a technical paper mostly devoted to another subject, I don’t think Tehachapi residents would notice even if they could read. IUCN still lists it as a species.